Dubai, UAE, September 24, 2018: The concept of consumer product differentiation is an established market practice. Many companies trying to push the envelope by offering products that possess new features beyond the ordinary. Most companies’ efforts result in a disconnect due to the struggle with arguably the most primal factor in product development – ergonomics. The consumer-oriented concept of ergonomics is integrated into a wide range of LG’s latest innovations such as the LG TWINWashTM washing machine and LG CordZeroTM Vacuum Cleaner. 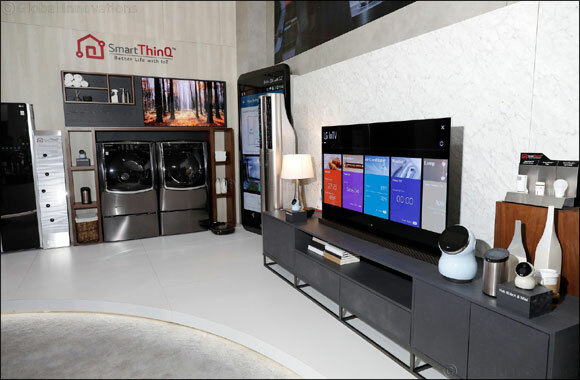 LG Electronics (LG), a trustworthy pioneer and well-known leader in the electronics market, is creatively bringing the future to homes all over the world to demonstrate the life changing potential that technology has to offer. Looking at the needs of consumers, LG has embraced creative, ergonomic design and providing concrete user benefits to differentiate itself from other brands. Ergonomics is the science and practice of integrating human comfort in the design process, a term LG is long familiar with. Focused on the health and wellness of its consumers, LG firmly believes if regular design is about how we want things to work, ergonomics is concerned with failure modes and extremes: how things break under repetition, stress, and other factoring limits. LG’s philosophy of practicing ergonomic design is to create an alignment between those limits and the healthy goals people have for how they want to use it, thereby creating more accessible and durable products to promote stress-free living for its customer base. Some of LG’s latest home appliances, such as the TWINWashTM and CordZeroTM Vacuum Cleaner series’, consider ergonomic design, which is derived from anthropometric data to determine optimum size, shape and form of each respective product. Since LG applies ergonomic methods early in the design phase, it often allows product designers to identify opportunities for innovation and modernisation. LG’s efforts to identify new ways of delivering intuitive and adaptable products to consumers’ homes emphasize the ongoing commitment to developing user-friendly products and services that offer everyone an upgrade to hassle-free and cutting-edge technologies that are just as aesthetically pleasing. At its core, LG aims to have its product consumers at ease with the knowledge and comfort that their line of products deliver innovation built around the user-experience; ensuring its continued standard label of excellence without comprising consistent user satisfaction. Supported by research and a dynamic design process, LG’s TWINWashTM washing machine and CordZeroTM Vacuum Cleaner are the latest in a series of consumer-oriented product initiatives to set the bar in the field of tech products.